Twenty-five years after the dissolution of the Soviet Union, Belarus stands out as a special transition case, combining relative prosperity, socially oriented policies and sprouts of entrepreneurship, with strong remnants of the communist past. A major new study undertaken by the Vienna Institute for International Economic Studies (wiiw) jointly with colleagues from the Belarusian Economic Research and Outreach Centre in Minsk finds that the transition model of the past quarter century has reached its limits, and argues that policy changes are necessary if the system is to survive. Economic policy cannot continue as it has, and the government is facing three main challenges. First, inflation expectations are high, which is driving up real interest rates and limiting fixed investment growth. Second, debt levels among state-owned enterprises and foreign currency borrowers are elevated, and asset quality is poor, threatening macroeconomic stability. Third, the government has high FX-denominated rollover needs, and reserve levels are minimal, requiring large-scale external borrowing every year to fill the financing gap. In wiiw’s view, although Belarus’ economic model per se has not been discredited, it needs to change in three ways to survive. First, the state’s role in the economy must be reduced. Second, the hierarchical process of policy formation needs to be altered. Third, hard budget constraints must be imposed on state-owned enterprises and banks. 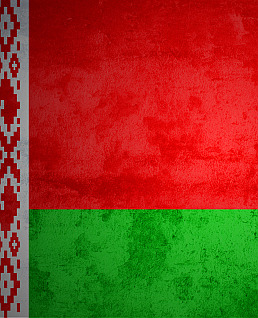 Belarus has followed an idiosyncratic economic path since the break-up of the Soviet Union. It has undertaken few market reforms, there has been little privatisation of state-owned enterprises, and GDP and employment remain concentrated in state hands. Russian subsidies have provided financial aid in return for political loyalty. This approach has produced some positive results. Belarus has been able to prevent asset stripping of state-owned enterprises, limit rent-seeking behaviour, and preserve engineering and production capabilities. The economy grew by 6.1% on per year average in 1996-2014, well above the averages for the Commonwealth of Independent States (CIS) and the EU Member States in Central, East and Southeast Europe (CESEE). In per capita income terms (at purchasing power parity), Belarus went from less than 50% of the CESEE EU Member State average in 1995 to over 70% by 2014. However, this approach has also resulted in distortions. Directed lending from state-owned banks has reduced incentives for state-owned enterprises to restructure, caused a deterioration in the quality of banks’ loan books, and contributed to a misallocation of resources. Reduced Russian financial support since 2007 has prompted increasingly risky fiscal and monetary policies. Belarus’ government has continued to provide fiscal and monetary stimulus to the economy, leading to large increases in external debt. This approach resulted in macroeconomic instability and currency crises. After the collapse in the oil price in 2014 and major slowdown in the Russian economy, it had become clear that the policy set up in Belarus could not be maintained. The currency peg was abandoned, an inflation targeting regime was announced, and fiscal policy was tightened. Macroeconomic stability was restored, but real GDP contracted by 3.9% in 2015, the first negative outturn since 1995. wiiw expects contractions of 2.8% and 0.9% in 2016 and 2017, respectively, and only a meagre return to growth of 1.6% in 2018.